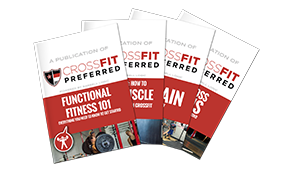 CrossFit Preferred | January 2019 Committed Club – Who Made The Cut?! January 2019 Committed Club – Who Made The Cut?! January Monthly Raffle Winner is Joel Stepanek! Your $50 retail credit will be applied in Wodify! Congratulations to the hard working 39 members who are ON TRACK for 2019! Seriously, though it starts with the first month. These are the members who made it in over 15 times and joined the Committed Club for January 2019! Members who hit 14 time in January! You can make it this month! The committed club is a year-long attendance challenge that will recognize and reward you for consistently showing up to CrossFit Preferred each month. It will be broken up into monthly, quarterly, and yearly milestones with rewards along the way! In order to achieve committed club status, you will have to attend at least 15 classes during each calendar month. At the end of each month, quarter, and year, we will recognize those individuals who have attended at least 15 classes during EACH of the coinciding calendar months. Monthly – At the end of each month, we will recognize the monthly committed club. All members of the committed club for that month will be entered into a raffle to win some sweet prizes! Example: Everyone who attends at least 15 classes from January 1, 2019 to January 31, 2019 will be recognized as a member of the committed club for January and will be entered into the January raffle. Yearly – Everyone who achieves committed club status for the entire 2019 will earn a limited-edition, CrossFit Preferred Committed Club T-Shirt that they can proudly wear for the rest of their lives! In addition, we will raffle off 1 Free Month of Unlimited CrossFit classes to be used in 2020! The visits will be tracked by signing in to Wodify each day on the computer or via the app. -Does open gym count towards my committed club visits? Yes! Open gym will count as a visit, just remember to sign in on Wodify. -If I do a Spartan SGX and CrossFit class on the same day, will it count as 2 visits or 1 visit? You are responsible for signing in each day so please remember to do this before every class and during open gym. If you forget to sign in, you can reach out to one of our coaches to add you to the attendance roster for that day or sign in on the Wodify App.